This beautifully maintained Ground floor apartment is Situated in a sought after expanding residential area, close to the old town with its variety of Shops, Banks, cafes, bars these spacious apartments enjoy the best of both worlds. Surrounded by landscaped gardens The apartment has two double 2 bedrooms with the master bedroom having ensuite facilities the large open plan kitchen lounge with a fitted breakfast bar from the lounge you have access to a private balcony with views of the gardens the family bathroom has full size bath with shower the property is to be sold fully furnished and key ready all paperwork is present and checked the complex has a Large horseshoe Shaped outdoor swimming pool, and gym, large sunbathing terraces with sun loungers, on site shop cafe bar with full restaurant Just 3 kilometres from the popular award winning blue flag beaches of Altinkum. The FREE courtesy bus service from the development takes only a few minutes to drive through the heart of the resort arriving at the promenade and beaches 3 times per day.Local restaurants, cafes, shops and supermarkets are all close by. This property is located in: Didim, Didimy, Yenihisar, Yoran (Aydin, Turkey). 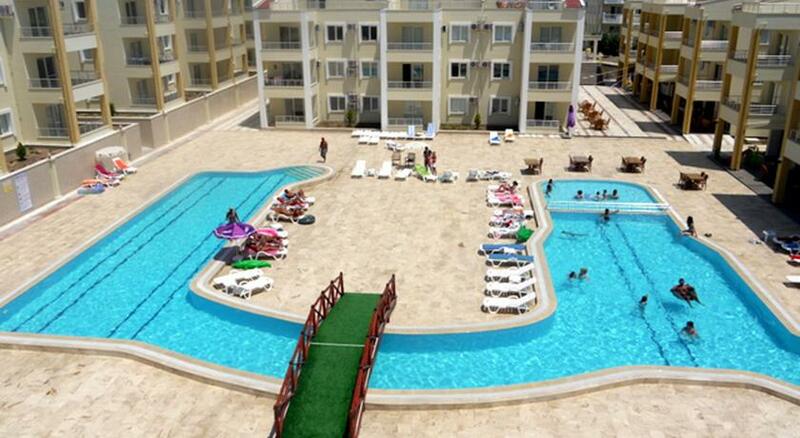 I am interested in other Apartments for Sale from Turkey. I am interested in other Properties from Turkey. With so many Estate Agents all over the Turkish Aegean coast why choose The Turkish Home Office from all the others? What sets us apart from all the others is that we are proud to tell you that we are a small independent family run business. We are a fully licensed Estate Agency with a wide selection of quality apartments, villas and land for sale in Turkey. We also specialise in property development. The business, which is based in the UK but also has offices in Altinkum in Turkey, is run solely by myself. We are supported by a small team of friendly staff who pride themselves on excellent customer service. We guarantee you will deal directly with us thereby getting the best personal service. And of course we knew that buying in Altinkum would be an excellent investment because Altinkum is becoming increasingly desirable as the town continues to grow and develop into the vibrant cosmopolitan place which it is rapidly becoming. For those of you who are looking for an up and coming area in which to purchase a property – then Altinkum is the place for you. There has been huge investment in the area with a 850 berth Marina and golf course and huge investment in the infrastructure of Altinkum ongoing. If this sounds like the lifestyle which you too are seeking then The Turkish Home Office will ensure that buying a property in the beautiful Turkish Aegean is an easy and trouble free experience. We specialise in property in Altinkum, Akbuk and Bodrum. The Turkish Home Office provides a superior Estate Agency service to all the other Agents because we live in the heart of the region and our business is based here so we can provide our clients with first class advice and service. Also we understand that whilst purchasing a property is very exciting you need the support and guidance of a reputable, trustworthy Agent who can ensure your indıvidual needs and expectations are fully met. If you are buying from the UK then we know how reassuring it is to speak to someone also from the UK who can give you step by step advice. Andy cowles will be able to answer all your individual questions – and tell you why Altinkum is the resort of choice.